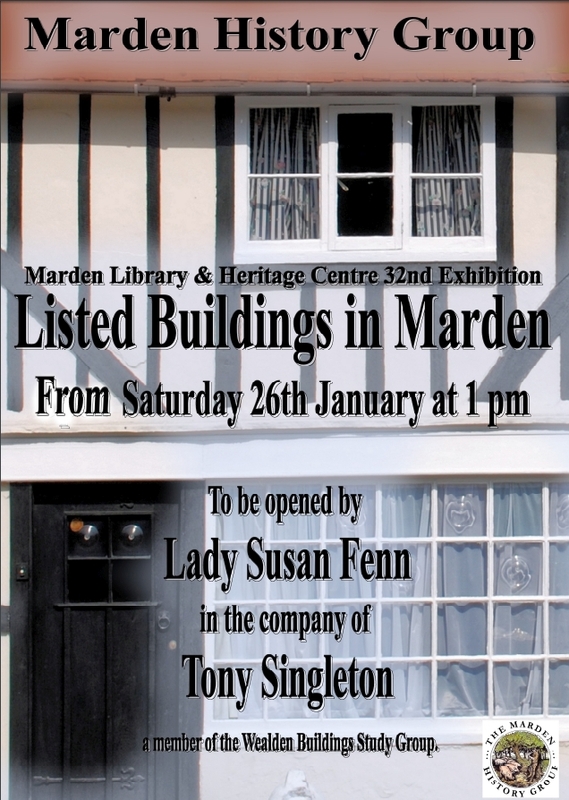 Welcome to the website and archive of the Marden History Group. The village of Marden is situated 9 miles south of Maidstone in Kent, England. In the Dark Ages herdsmen visited the uninhabited thick forests and marshes of the Weald of Kent in the autumn to feed their pigs on acorns & beech mast. During these visits they lived in clearings known as “dens”. In time these developed into permanent settlements, and so Marden grew. Over the centuries the woollen cloth trade, hops & fruit orchards brought prosperity to the village. The Marden History Group has adopted this engraving of a den, by Vic Symonds of Marden, as its logo. Through this web site we seek to tell the story of the village from its earliest days to times within living memory, through parish records, oral histories and photographic and written archives. If you have a connection with Marden and have a contribution to make please get in touch. Join the History Group – become a MEMBER (see below). We have members throughout the world.